Taylor Roofs have vast experience in building and repairing flat roofs. Often the cause of much fear and panic by home owners following bad experiences and the reputation as leaky and unreliable, a flat roof can be the perfect solution to an extension or conversion, while remaining as safe and water-tight as a pitched roof would be. With modern materials, technology and equipment, and when build correctly, flat roofs will reach exceptionally high standards ensuring no leaks or ponding in years to come. 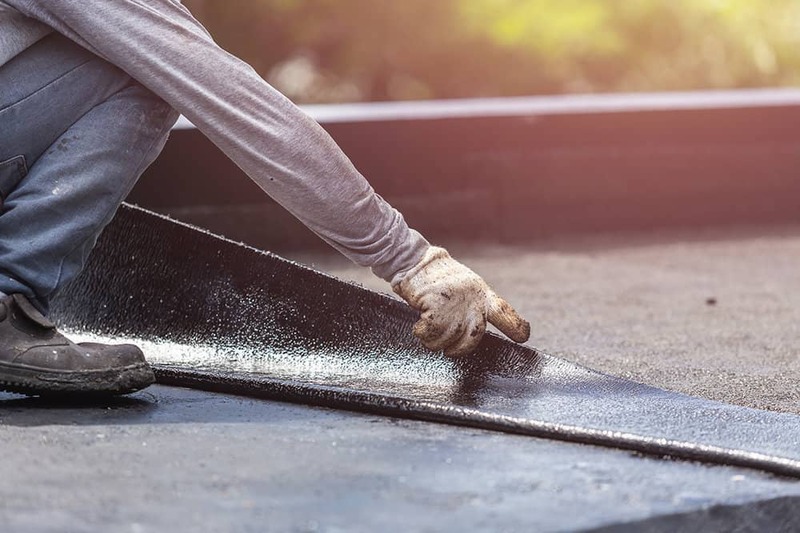 We take great pride in the quality of our flat roofing work, and our roofers only use the finest materials and equipment, with every product we install guaranteed to provide reliable and effective property protection for many years to come. LEAKS – Leaks form in many places on a poorly fitted flat roof, where the water can ingress through the various layers, eventually resulting in dampness and/or staining of the internal walls of which may not necessarily be directly beneath the actual leak in the roofs top layer. PONDING – Badly fitted and maintained flat roofs are often subject to ‘ponding’, where ineffective drainage and installation can result in rainwater gathering in pools on top of the roof – this can often lead to further issues. GRAVEL FINISH FLAT ROOF – Some flat roofs were finished with a layer of gravel. You may notice that some gravel stones begin to discolour or become subject to vegetation growth. This can be the result of a number of issues and is always worth having an inspection done to ensure unseen issues are not developing on the roof surface membrane. GENERAL DAMAGE – Much like a pitched roof, a flat roof needs a level of TLC to ensure it continues to perform its role of keeping your home dry. Regular checks and minor maintenance will ensure that your flat roof continues to work hard for many years to come.